The Beauty Scoop! 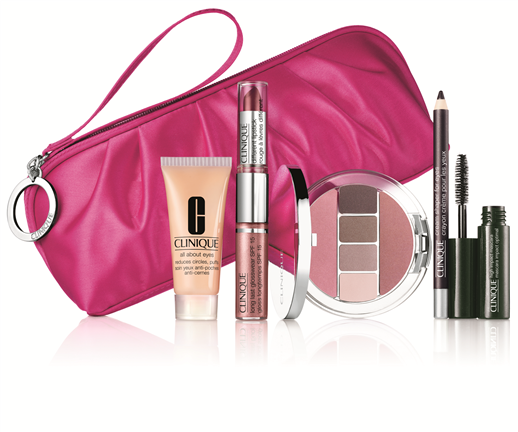 : The Beauty Scoop Christmas Gift Guide 2010 - Part 1! 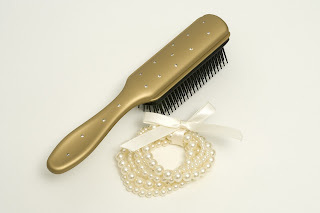 The Beauty Scoop Christmas Gift Guide 2010 - Part 1! 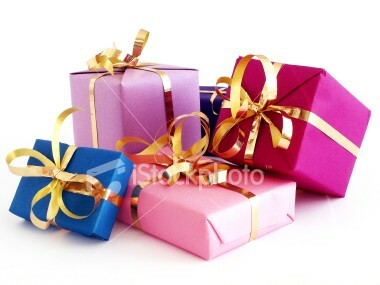 I don’t know about you, but I sometimes find myself at a loss as to what to buy my loved ones for Christmas. Now I know it’s the thought that counts, but I like buying gifts that are loved and actually used by the person I buy them for; not just given a polite acknowledgement and then stuffed to the back of the cupboard, waiting to be recycled into a present for somebody else because they secretly hate it! I’ve decided to give a little run down of items, to suit all budgets that I think anybody would love to receive over Christmas; from stocking fillers to main presents I hope to give you a little inspiration from both the products that I have been using and loving and those that I would still love to receive in my present pile this Christmas! 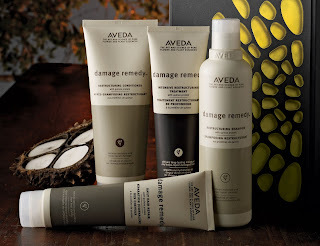 Aveda have some utterly fabulous gifts available, and if you (or your intended recipient) haven’t had chance to try Aveda products then now is a great time to do so! Their Ritual of Repair gift set (£49) comes complete with Damage Remedy Shampoo, Conditioner, Intensive Treatment, Daily Hair Repair and Tagua Hair Band – it also has a £28 saving on the individual retail prices of the products included. 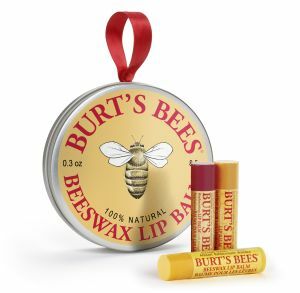 Burts Bees – Get lovely lips for kissing under the mistletoe with this fantastic Burt’s Bees ‘Lip Balm Tin Ornament’ (£9.99) that has 3 of their fabulous lip balms (Beeswax Lip Balm, Replenishing Lip Balm in Pomegranate and Honey Lip Balm) packaged in a metal tin that can be reused – so it’s also great for the environment too. Laser Focus Repair Gift Set (£50, shown above), a silver travel bag containing Repairwear Laser Focus Wrinkle & UV Damage Corrector (30ml), Youth Surge SPF 15 Age Decelerating Moisturiser (in dry/combination) 15ml and Repairwear Intensive Eye Cream 7ml. Pretty Day Into Night Looks Gift Set (£38), a gorgeous pink bag containing a Round Compact with 4 Eyeshadows & 2 Powder Blush Shades, High Impact Mascara 4g in Black, Double-Ended Lipstick in Different Grape 1.3g/Long Last Glosswear SPF15 in Bamboo Pink 4.5ml, Cream Shaper For Eyes in Starry Plum 1.1g and All About Eyes 15ml. Dermalogica products would be a lovely gift for anybody who likes to look after their skin as Dermalogica, in my opinion are still one of the best skin care brands around (I thoroughly recommend that you try their PreCleanse if nothing else as it's suitable for all skin types, review coming soon to the blog). You may not be able to keep this one a secret as a skin mapping session is always recommended to find out the best products for your skin but you could actually make that part of the present if you were to pay for a facial too. A Denman Brush (approximately £7) – If you want to give a gift that will just keep on giving then one of these bad boys would be great, they look fab and are built to last. There’s an assortment of great designs available (I’ve shown just a few of them here) and you just know they’ll be used as everybody brushes their hair, right?! Elemis have a fabulous range of gift sets available, many of them offering a saving off the RRP of the individual products which is a winner to me. I especially like the Exotic Spa Secrets gift box (£49.50), which contains 3 full sized products including: Skin Nourishing Milk Bath, Exotic Frangipani Monoi Bath & Shower Cream and Exotic Frangipani Monoi Moisture Melt and offers a £38 saving from the usual retail price of each item. Other Elemis gift sets that are worth considering are: Elemis Skin Brilliance, Elemis Perfect Pro-Collagen and Elemis Timeless Radiance. Front Cover Cosmetics have a selection of gift sets available but the one that stands right out for me is their Moonlit Metals set (£16, swatched here), as I think that the colours contained in it would suit most people -plus it also offers such fantastic value, is on trend and generally just looks like a nice present to give/receive (and is easy to wrap too)! 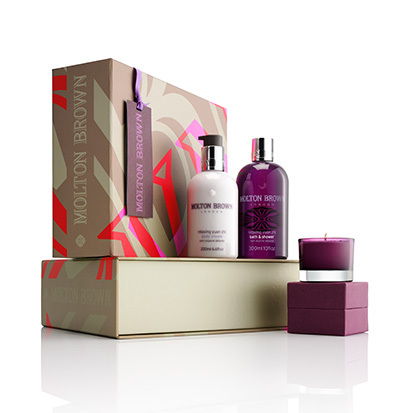 Molton Browns’ gifts are to die for. Their Treasure Island (£65) and Colour Purple (£42, shown above) gifts immediately caught my eye. The Treasure Island gift includes Heavenly Gingerlily Moisture Bath & Shower Gel, Body Cream, Shimmer Fragrance and Airlight. I haven’t had the pleasure of smelling this set but it sounds beautiful. The Colour Purple set contains Relaxing Yuan Zhi Bath & Shower Gel, Body Cream and Airlight - and might I add, smells divine. No7 have some beautiful gifts and palettes available right now, I've recently swatched their Precious Metals Mini Nail Polish set (£8) here, and their Limited Edition MirrorBall Eye Palette (£12.50) here but there are so many other gorgeous gifts and fantastic products available (to suit all budgets) that I really do think that it's worth looking to the brand for both stocking fillers and main presents alike. OPI's Burlesque range is causing quite a stir because it includes a great range of polishes, that all have a Christmassy feel (in my opinion) and I feel would be well received by most people as a gift for Christmas. If you didn’t want to buy them individually, there are gift sets available such as their Little Teasers Mini Lacquers Gift Set (available for around £12.15 online). Better still QVC have a brilliant set available (shown above). For just £34.10 plus postage (this is an introductory price and could end anytime and go back to the usual price of £37.50) you can get a super gift box which includes: Original Nail Envy (15ml), Avoplex High Intensity Hand & Nail Cream (50ml), OPI Crystal Nail File, Bring on the Bling Lacquer (15ml), Tease-y Does It Lacquer (15ml), Let Me Entertain You Lacquer (15ml) and a mini cuticle stick. Bear in mind that the polishes alone usually retail for £9.95 each and you can see what good value this gift set is – and the person you’re buying for will think you’ve spent even more on them! 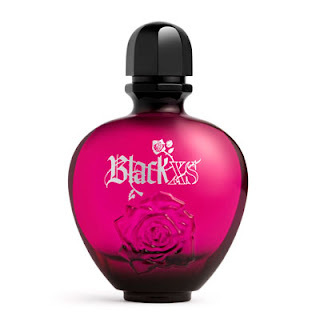 Perfumes or perfume gift sets are a safe bet for most people, I’m currently loving Paco Rabanne; in particular their ‘Lady Million’ and ‘Black XS’ fragrances. Other perfumes worth checking out are Viktor & Rolf’s ‘Flowerbomb’, Armani ‘Code’, Marc Jacobs ‘Daisy’ and/or ‘Lola’ and Nina Ricci’s ‘Nina’. Talking of perfume, Penhaligon's have some beautiful gifts available (as well as some stunning standalone perfumes) a few gifts of note are: the Crystal ‘Bullet’ Atomiser (in Amethyst £120), the Ladies Fragrance collection (£32) which includes 5 miniature 5ml bottles in a lovely bow-topped gift box, and their Votive Candle Collection (£45) which includes 4 miniature (70g) scented glass candles. 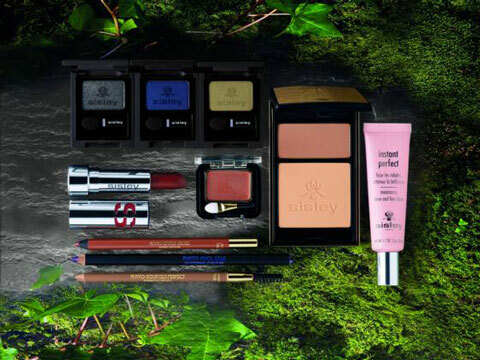 Sisley has a fantastic new autumn/winter makeup collection that may just hold a few potential gifts within it. Shown above, the collection contains 10 pieces – all of which I’d be happy to own. 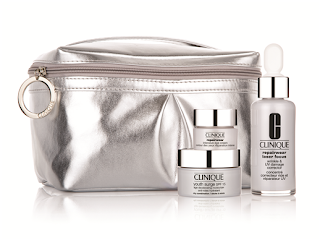 If the makeup collection doesn’t grab you then maybe a piece of their award winning skincare range may be more to your taste? After all, who doesn’t want to take care of their skin?! Sleek palettes (£5.99 each) are cheap in price but fantastic in quality, there’s also a decent amount of palettes for you to choose from so you can be sure there’ll be something there to suit anybody you’re buying for. They’re currently on 3 for 2 at Superdrug, making them even cheaper – in fact if you have a secret santa present to buy then this could be a perfect purchase – much better than socks anyway! Urban Decay’s Naked Palette (around £27) is bound to be a hit, you can’t really go wrong with neutrals as they suit everybody and this palette is currently one of the best to be had. Anyway, this rounds up my first gift guide - I hope you've found it useful and maybe solved a few gift dilemmas too! Merry Christmas From The Beauty Scoop! TriPollar STOP - Session One! 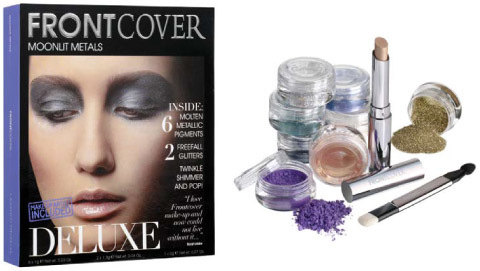 Front Cover Wide-Eyed Set - Swatches! 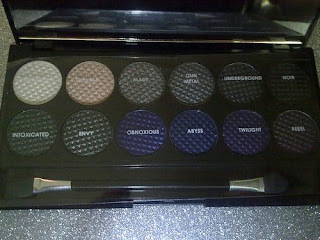 Swatches: Front Cover Moonlit Metals Gift Set! ORLY 'Precious' Spring 2011 Polish Collection! Essie Winter 2010 Collection - A Few Swatches!